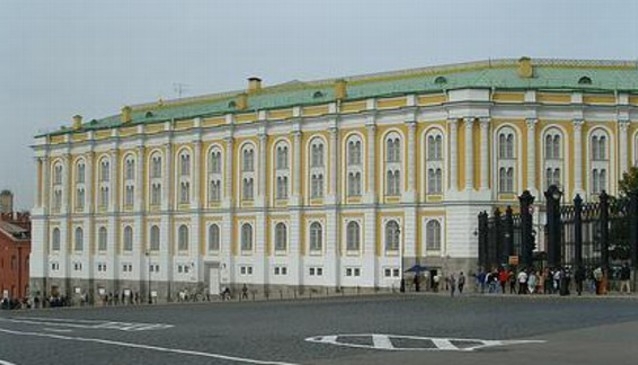 Kremlin Museums: the pride of the Russian capital. The rich historical heritage of the amazing city that is Moscow, can be seen firsthand in the public museums of the Kremlin. The most valuable household items, glassware and jewelry, royal clothes and period weapons, have been collected and carefully stored for centuries. When erected, the Kremlin was not only the centre of Russia's political elite but it was also the country's religious centre. For a long time, the Assumption Cathedral was the main church of the Kremlin. The elaborate interior and exterior of the cathedral are as beautiful as they are elegant. Many Russian royal unique pieces and items of veneration may be found here, as well as being the historical place of prayer and worship for Ivan the Terrible. Of particular significance in the Annunciation Cathedral is a monumental painting that depicts the reign of Ivan the Terrible, as well as the ancient iconostasis (wall of icons and religious paintings). The basement of the Assumption Cathedral is home to an ongoing exhibition "Archaeology of the Moscow Kremlin", where you can witness in first hand the most historic white-stone from the city of Moscow and many scientific discoveries going back to the origins of the Russian capital city. The ancestral burial place of kings and princes was Archangel Cathedral. Ivan III, Ivan IV, Dmitry Donskoy, Ivan Kalita, Alexei and Mikhail Romanov, Tsarevich Dmitry are all laid to rest within the cathedral. The walls and pillars of the Archangel Cathedral are decorated by a "portrait gallery" of the various rulers of Moscow and their famous ancestors. The 16th century saw the beginning of the construction of the Grand Palace embankment as well as the Armoury. Today you can see the ancient state regalia, royal clothing, silver and gold items of Russian, Eastern and European masters, as well as the famous Faberge eggs. These gems were brought from the patriarchal royal sacristy as well as donated by a number of foreign embassies. A special exhibit within the Armoury is the Diamond Fund - a unique collection of jewelery...the most valuable of which are the historic and priceless Imperial crown, orb and scepter. Just as popular is the unique diamond "Shah". Rare monuments of civil architecture, dating back to the reign of Patriarch Nikon, may be found in the Patriarch's Palace. Here you can see the personal belongings of many rulers, ancient books, precious dishes, icons, desktop and pocket watches and intricate interior decoration. Another must see is the bell tower of Ivan the Great which, for more than four centuries, towers over the Kremlin. The huge dome, standing at 80 meters tall, is an object of true admiration and delight.